Book Description Are you bored of playing the same old openings time and time again? Fed up with constantly having to keep up with modern chess theory? Or perhaps you simply wish to play something new and exciting, but cannot decide between the numerous choices available? Don't despair ? help is on hand! 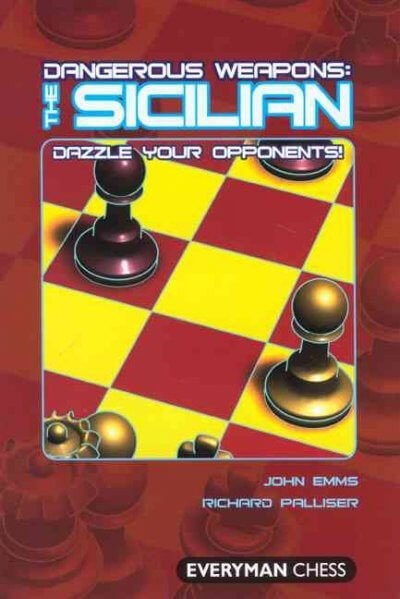 In Dangerous Weapons: The Sicilian, John Emms and Richard Palliser team up to investigate by far the most popular and widely-played chess opening, but in a revolutionary way. They concentrate on fresh or little-explored variations of the open Sicilian, selecting a wealth of ideas and options for both colours. Many of the carefully chosen weapons are innovative, visually shocking, incredibly tricky, or have been unfairly discarded; they are guaranteed to throw even your most experienced opponent off balance. Whether playing White or Black, a study of this book will leave you assured and fully-armed, and your opponents running for cover!